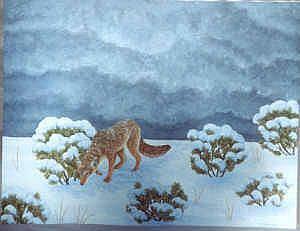 A lone coyote on a western plain foraging beneath a sagebrush bush(state flower of Nevada) late one winter afternoon. A storm is on it's way. The title is from the Eagles' song, it fit the melancholy mood.